viennacontemporary provides a platform for brands with a clientele who want to build lasting relationships with an affluent audience through arts and culture. Founded in 1819 as the first Austrian savings bank, Erste Group went public in 1997 with a strategy to expand its retail business into Central and Eastern Europe. Since then Erste Group has grown through numerous acquisitions and organically to become one of the largest financial services providers in the Eastern part of the EU in terms of clients and total assets. April Capital is one of the oldest and largest asset management companies in Russia. The success of the company is primarily based on a strong team that has vast experience in the securities market and investment management. The competitive advantages of April Capital are professionalism of the team and tailor made solutions for each client in full compliance with client priorities. RDI.Creative is the art-oriented platform of the RDI.Group, which aims to improve and enhance collective urban spaces through cultural programming, contemporary art, and educational initiatives. RDI.Creative develops a dialogue between business and culture, employing cross-generation and cross-disciplinary entities. BDO is an international network of public accounting, tax and advisory firms which perform professional services under the name of BDO. These firms have representation in 154 territories, with 64,300 people working out of over 1,400 offices worldwide. Aksenov Family Foundation is a dynamic platform which fosters cultural and social innovation. We believe in cross-cultural and cross-disciplinary dialog, and support initiatives aimed to improve and elevate the collective urban condition through cultural and artistic initiatives. The aim of the Romanian Cultural Institute (RCI), founded in 2003, is to promote Romanian cultural assets abroad and stimulate the exchange between Romanian creatives and the international cultural milieus. RCI’s main objective is to enhance the visibility of Romanian culture worldwide. The Vienna Tourist Board is the official destination marketing agency for the tourism sector of the city. It provides many service offers, tips and much information for Viennese tourist businesses. The Vienna Business Agency is the first point of contact for national and international companies. It offers financial support, real estate and urban development incentives as well as free service and advice. With its creative center departure, it offers comprehensive services and networking assistance to Viennese companies in the creative industries. HEY-U has been active in the world of TV & Film, Events, Music, PR- Marketing and sales (TV, DVD, CD) since 1990. Our years of international experience using our own Video, Sound and Graphic Studios as well as Sound, Light and Staging, allows us to work creatively on your projects. Spread over 90,000m2 in central Vienna and encompassing 60 cultural institutions, the MuseumsQuartier Wien is one of the largest districts for contemporary art and culture in the world. Nothing is off limits at the MuseumsQuartier. Historic architecture meets contemporary design. High culture meets subcultures. The spectrum ranges from fine art, architecture, music, fashion, theater, dance, literature, children’s culture, game culture, and street art to design and photography. When the new FOTO WIEN Festival, Month of Photography, gets underway for the first time, the whole of Vienna will be given over to photography from 20 March to 20 April 2019. The aim of this major event is to showcase not just photography as an art medium but also the local photography scene. For a whole four weeks, photography will be the city’s main theme. As part of FOTO WIEN, more than 100 partners in the programme – museums, exhibition venues, galleries, art universities, artists’ initiatives, and off-spaces – will offer new insights into both the local and the international photography scene. As in recent years, the Austrian Federal Chancellery is supporting the participation of young artists from Austria in ZONE1. Albertina Collections Online enables you to do research in our collections, find relevant literature, and obtain profound information on photography in Austria. The databases represent a dynamically growing system whose online holdings are continuously expanded and updated. Belvedere 21 – Museum of Contemporary Art is a place of artistic production, reception, and reflection. Interdisciplinary and analytical, its exhibitions focus on Austrian art from the twentieth and twenty-first centuries, placed in an international context. frei_raum Q21 exhibition space/MuseumsQuartier Wien hosts a program of group exhibitions curated by international curators, with a focus, since 2012, on socio-political themes and social criticism. Admission is free. Kunsthalle Wien is a space which comprises the broad diversity of international contemporary art and its related contemporary discourses. To this effect, Kunsthalle Wien has been developing innovative exhibition and communication formats. The museum and exhibition venue, founded by Austrian artist Friedensreich Hundertwasser and named KUNST HAUS WIEN, is one of the most important sights of the city. With its top international exhibitions of contemporary art with a focus on photography it has become an integral part of the Viennese culture scene. The Kunsthistorisches Museum Wien boasts exhibits spanning five millennia – from Ancient Egypt to Greek Antiquity to the late 18th century. The Picture Gallery features unique major works by Dürer, Raphael, Rembrandt, Rubens, Titian, Velázquez and Vermeer as well as the world’s largest collection of Bruegel paintings. The Leopold Museum is a unique and active museum in the heart of Vienna and the biggest cultural magnet in the MuseumsQuartier. Besides exciting special exhibitions, it not only houses the most substantial and most important collection of Egon Schiele worldwide but also masterpieces by Gustav Klimt. 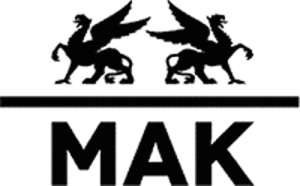 The MAK stands for the fruitful combination of the past with the future, of the applied arts with design, architecture, and contemporary art, something which can be clearly sensed and experienced when visiting its extensive collection, themed special exhibitions and discourse-centered program of events. The mumok is the largest museum in Central Europe for art since modernism. From Pablo Picasso to Andy Warhol and Franz West, the collection and special exhibitions represent a blend of tradition and experiment, past and present. 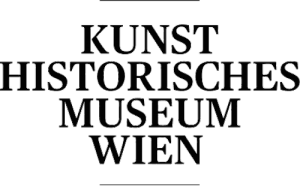 Neuer Kunstverein Wien, founded in Vienna in 2011, is a platform for contemporary art. It is located in “Hochhaus”, a celebrated building built in the 1930s and a landmark of Viennese modern architecture. The interdisciplinary focus is on art, dance, performance, and music. In keeping with the motto that adorns its facade – “To every time its art. To art its freedom.” – the Secession hosts an international program that explores current forms of artistic expression. It is a sounding board for the aesthetic and critical discourses on art, culture, and society that define our era and keenly aware of their political significance. In the former living quarters and office of Sigmund Freud in the house at Berggasse 19 in Vienna’s ninth district, the Sigmund Freud Museum presents an exhibition documenting the life and work of the founder of psychoanalysis. Freud lived and worked in this house from 1891 until 1938, when on 4 June he was forced by the National Socialists to flee with his family into exile in England. The science of psychoanalysis has always held a great fascination for artists – both as a medium for reflection and as an instrument for creating meaning, and “Freud’s cultural work” (Thomas Mann) remains a popular subject for many contemporary artists too: similar to how images in dreams visualise hidden thoughts, artistic formulations probe the depths and meanings of our current cultural self-perception, depicting the forces that shape the individual and the collective unconscious.